Cleveland, Ohio – Do you hide your hands because they prematurely age you? Or do you suffer from constant pain, due to arthritis, carpal tunnel, tendon injuries or other issues? 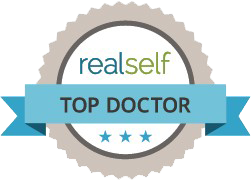 There is great news for you – Dr. Rodney Green, a plastic surgeon, is not only skilled in procedures that remove years from the look of your hands, but in restoring proper function to them as well. Rheumatoid arthritis causes damage to the joints, tendons and ligaments, and can occur at any age. The typical treatment is medication to prevent severe inflammatory damage, but sometimes when medication isn’t effective, surgery can be an option. During the hand surgery, the synovium, or inflamed tissue, will be removed. Some wear and tear on our joints is expected as we grow older, but some areas may become more problematic than others as we age. The thumb is used frequently to grasp, and the Carpo-metacarpal joint can wear out, which can then lead to other injuries to the stabilizing ligaments. During what is known as an “anchovy procedure” part of the tendon will be borrowed to reconstruct the joint while also reconstructing the stabilizing ligaments. Arthritis also appears frequently in the small finger joints. Sometimes synthetic joints may be used to replace damaged ones, but in most cases, it may be better to fuse the joint to stabilize it. This makes it stiff, but provides pain free fingers. Carpal tunnel syndrome is one of the most common hand conditions doctors see. And with more and more people spending time behind computers, it is becoming a problem for many Americans. In traditional carpal tunnel treatment, the carpal tunnel is surgically released. This relieves pressure on the median nerve, which is the nerve that supplies most of the feeling in the hand. It also powers the muscles of the hand. Most surgeons perform the surgery through a longitudinal incision on the palm of the hand. This gives the surgeon access to the transverse carpal ligament that pinches the nerve, thereby causing the carpal tunnel syndrome. However, Dr. Green uses the Agee system, which is an endoscopic carpal tunnel release. The endoscopic procedure involves just a tiny incision in the crease of the patient’s wrist. This allows the endoscopic instrument to enter and release the ligament. Patients enjoy a rapid recovery and only a tiny scar. And even better, this procedure is done under local anesthesia with sedation and takes only 15 minutes. Dr. Green also sees patients who have suffered injuries to their hands via machines, either at work, home or during recreation. Lacerations and crush injuries are especially common, leaving damage to the bones, tendons, nerves and blood vessels. A well-trained plastic surgeon will have the careful and meticulous technique needed to properly reconstruct the hand after these injuries. Dr. Green is so well-trained in this, he has even received the certificate of additional qualification for hand surgery from the American Board of Plastic Surgery, which required extensive training and demonstration of his skills. The tendons are essential to proper hand function. They move the joints of both the fingers and hand and are connected to the muscles in the forearm. Deep lacerations to the fingers, hand or even the forearm can damage them. Patients will most likely easily know they have suffered a tendon injury because the function of their finger will be lost. Surgery should be performed as quickly as possible, because over time, the tendon will retract and the muscle will shrink. That makes later repair much more difficult. Dr. Green utilizes special techniques that can stitch the tendons back together and protect them until they heal. The nerves provide feeling and power to the hand, and injuries to hand nerves will result in numbness or weakness. Nerve repair does not result in immediate function returning, however, an experienced surgeon can trim the nerve endings, placing the proximal and distal ends together so they will grow back. They will then provide feeling back to the area that was previously damaged. Very tiny sutures are used, so the surgeon must have a microscope or some form of magnification to successfully perform the procedure. In severe cases, there may be a gap in the nerve which will require a nerve graft or synthetic nerve to allow the nerve to grow back. In addition to helping repair damage to hands through surgery, Dr. Green also performs a procedure that can take years off of the look of a person’s hands. Over time, our hands may begin to look “skeletonized” as the fat is lost. This makes our veins and tendons look more prominent. Fat grafting can correct this. During the cosmetic procedure, fat will be harvested from somewhere on the patient’s body, processed and then injected into the back of the hand. This will then give a more youthful appearance and is very effective. No matter what your hand issue may be, an experienced plastic surgeon like Dr. Green can work with you to restore better function, or make your hands look as young as you feel. If you’re experiencing numbness or loss of function, schedule a consultation as soon as possible as immediate surgery might be required to restore proper function.